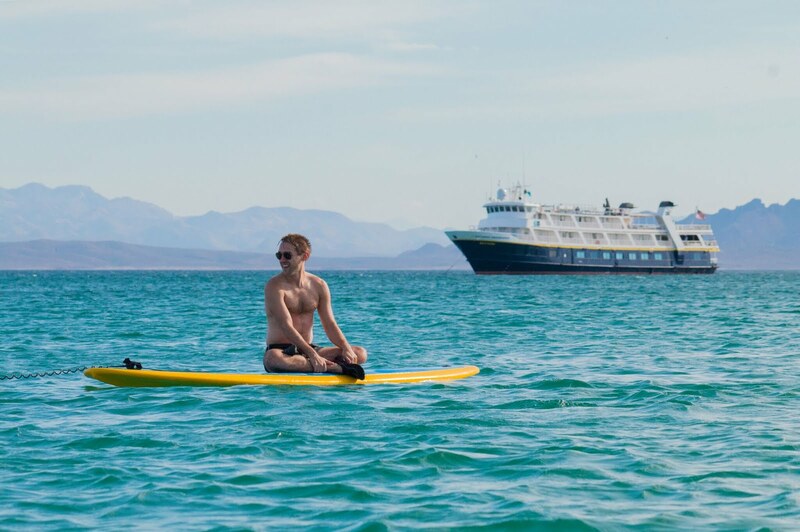 In keeping with Lindblad's wellbeing programming launched in December 2017 in Baja, the active adventure is designed to blend the best of exploration, transformation, and restoration in extraordinary, revitalizing places. And with acres of trails to walk or hike, sea caves to explore by kayak or paddleboard, undersea realms to enter, and landscapes and bird colonies to observe, the Channel Islands National Park is a spirit-lifting place to be. Miles of ocean separate it from the Southern California mainland, and half of the park sits underwater. So being able to get there effortlessly, to move freely around the Islands leisurely and in genuine comfort - and to explore the land and undersea - is what makes this Channel Islands cruise unique. Of the 2,000 species of plants and animals within the vast National Park, one hundred forty-five exist nowhere else in the world. Marine life ranges from microscopic plankton to the blue whale, and many naturalists call them the 'Galápagos' of North America. Basecamp Channel Islands will depart from the Port of Los Angeles and explore East Anacapa Island, home to Anacapa Lighthouse, the last major light station to be built on the west coast in 1912. 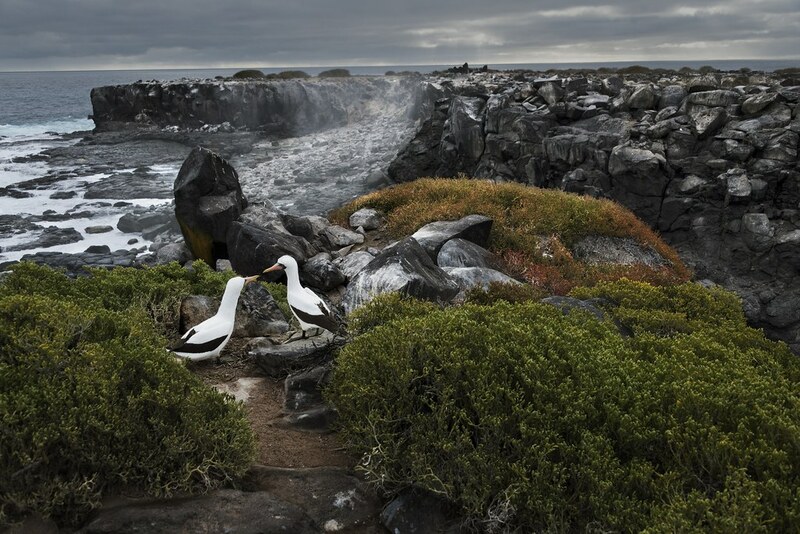 Explore Santa Cruz, the largest island in California, with more than 600 plant species, 140 birds, including large colonies of nesting seabirds, and 11 land mammal species, including pinnipeds – and more than 60 endemic species found nowhere else in the world. Visit Rosa Island with Torrey Pines, considered one of the world's rarest pines, and one of only two naturally occurring groves in the world; and San Miguel Island with over 30,000 pinnipeds and up to five different species. On Santa Catalina Island, guests may spot the elusive Santa Cruz Island Fox found only on Catalina, or the impressive sight of the island's largest, and definitely not endemic mammals—bison, with a free ranching afternoon to grab a bike and explore downtown Avalon, the island's only incorporated city. Guests will also benefit from exhale's nutritionally savvy snacks, juices, and menu options, and from Lindblad Expedition's longstanding commitment to locally and sustainably-caught seafood, locally-sourced produce—and food that rewards. 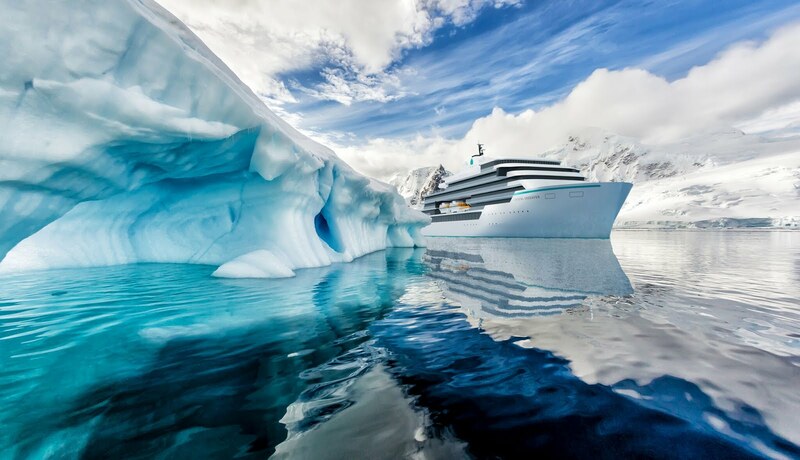 Win a luxury PONANT expedition to Antarctica via Argentina, valued at $47,000. This is a once-in-a-lifetime opportunity to visit Antarctica in ultimate luxury, including an 11-day small ship expedition cruise with French-inspired cuisine accompanied by exceptional wines, and regular Zodiac® land outings. This incredible prize package from PONANT Yacht Cruises & Expeditions will even have you dining in one of the world’s top 50 restaurants in Argentina. 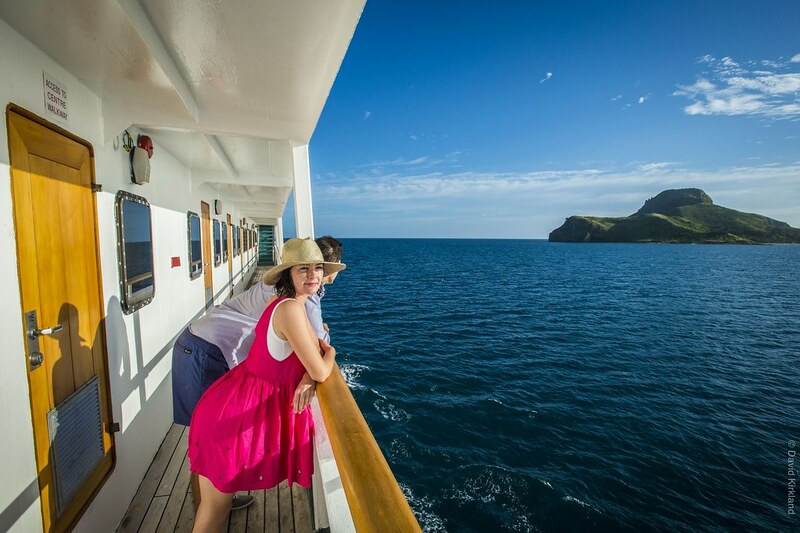 Bring friends or family for half the price but have double the fun on all three, four, seven and eleven-night cruises with Captain Cook Cruises Fiji's, 'Friend & Family Fare 50% Off Sail'. Every second person cruises for half price and solo travellers receive a 25% discount. The sale is valid for travel from 1 May 2018 and on sale until 30 June 2018. 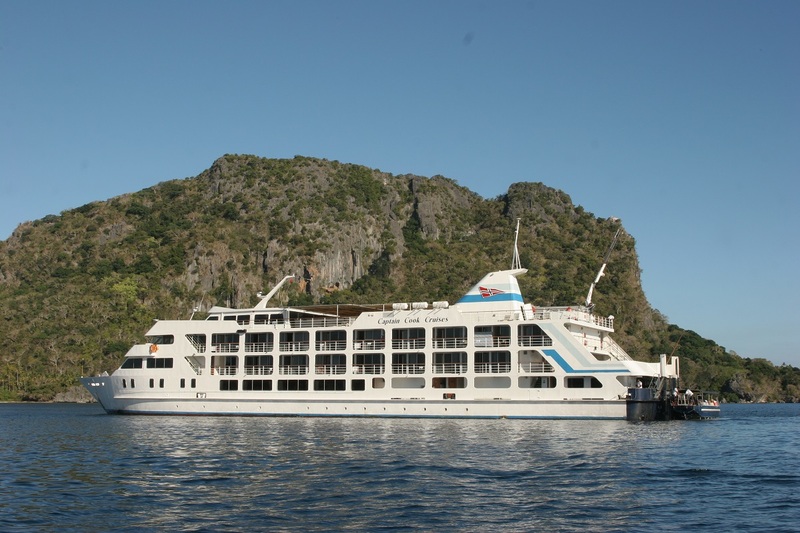 All cruises are aboard the 130-passenger, fully accommodated and newly refurbished small ship, MV Reef Endeavour, equipped with a hydraulic platform to make getting on and off the ship easy. Offering a truly heart-warming cultural experience, visit remote Fijian villages and schools, interact and play with local children, experience a Fijian church service and a traditional village Sevusevu ceremony, Meke and Lovo feast. As well as being immersed in Fijian culture there is plenty of time for kayaking, paddle boarding, snorkelling over coral reefs, relaxing on white sandy beaches, swimming in crystal clear waters, and learning about marine life on a glass bottom boat ride. Have the extra thrill of experiencing this spectacular underwater world with mind blowing scuba diving operated by Viti Water Sports, a PADI5 Star Dive Centre Dive onboard Reef Endeavour. Two or three dives are offered most days and always in different locations. On board be pampered at the ship's Senikai Day Spa, also featuring a KIDZPA menu, laze by the pool or jacuzzi, play a board game or watch a movie in the lounge, or simply relax on the open top deck and watch the breathtaking scenery go by. A Complimentary Captain's Kid's Club is available for children 5-9 years and operates between 9.00am and 12noon, 2.00pm to 5.00pm and 6.00pm to 9.00pm. 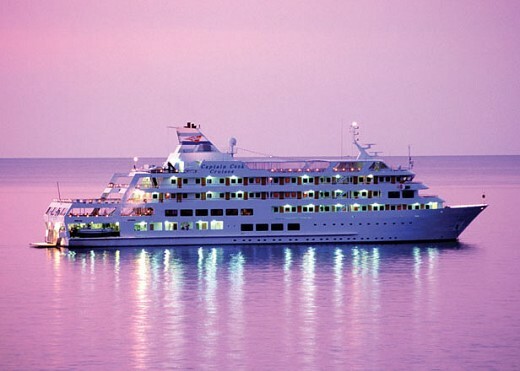 Dining is another vital ingredient of these amazing cruises. Whether it is an alfresco luncheon, a casual barbecue or table d'hote dinner, all food is prepared on board from fresh local and imported produce and a full kids menu is available. 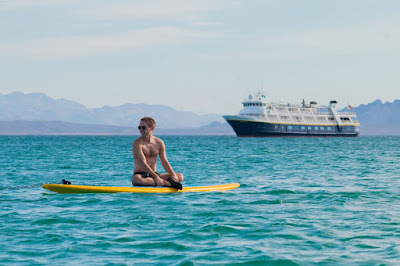 Captain Cook Cruises offers a range of accommodation from Tabua Suites and Ocean Staterooms to family Porthole cabins that sleep four to inter-connecting Ocean family staterooms. 'Friend or Family Fare 50% Off Sail' rates start from AUD$1535 per person, twin share for the first adult and AUD$767.50 per person, twin share for the second adult and for families children start from AUD$480 per child, for the first child sharing with an adult and AUD$240 per child for the second child sharing with an adult in a Porthole Cabin on a three-night Mamanuca and Southern Yasawa Islands cruise. All fares include shipboard accommodation, all meals, guided village, school and island tours, snorkelling and glass bottom boat excursions, daily island stopovers and water activities, hikes and Kayak safaris, on board entertainment, kids club (5-9 yrs), onboard Wi-Fi at anchor, 24-hour self-service tea and coffee bar, post cruise transfers to Nadi and Denarau hotels and Nadi airport and use of the ship's facilities including a swimming pool, spa, mini gym, sun deck, cocktail bar and library. For further information and bookings visit www.captaincookcruisesfiji.com . 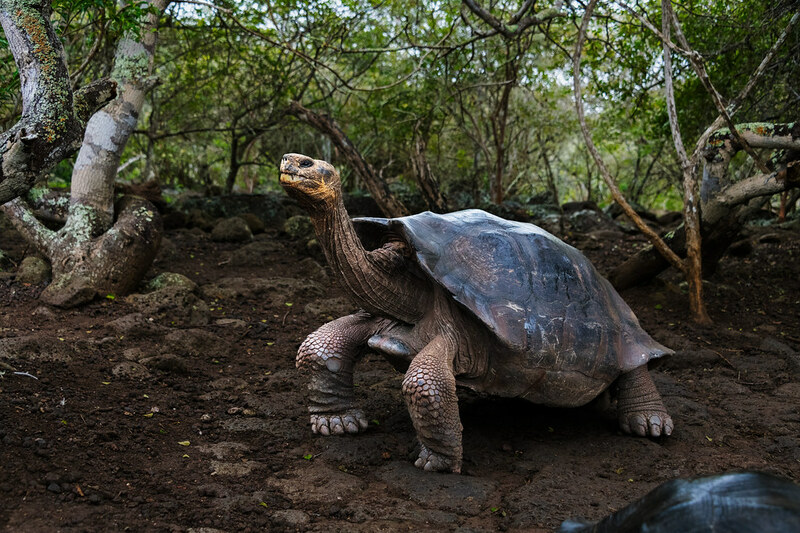 EYOS Expeditions, the world’s leader in private superyacht expeditions, is marking its tenth anniversary by introducing yet another world’s first travel experience. Beginning in 2019, EYOS will offer a limited number of scheduled departures where travelers will be able to book an individual cabin rather than chartering a full yacht. The first of these experiences is a one-week Antarctic expedition onboard the 77m yacht Legend from January 6th to 13th. “We are creating an experience that was, up until now, available only to private yacht Owners or those who chartered an entire yacht. We firmly believe the smaller the number of guests on an expedition, the better the experience, and with a private yacht-sized group, the experience will be intimate and bespoke. Guests can linger on shore with charismatic penguins, jump into a Zodiac at a moment’s notice when a pod of whales surface nearby or choose to head ashore later in the day after a morning massage. The experience will be theirs to define,” says CEO Ben Lyons. EYOS pioneered fly in/ fly out superyacht expeditions to Antarctica, and guests on this expedition will enjoy the same convenience of flying over the notorious Drake Passage. With seven full days on the Peninsula, guests will have ample time to explore and experience the Antarctic while still limiting time away from home. 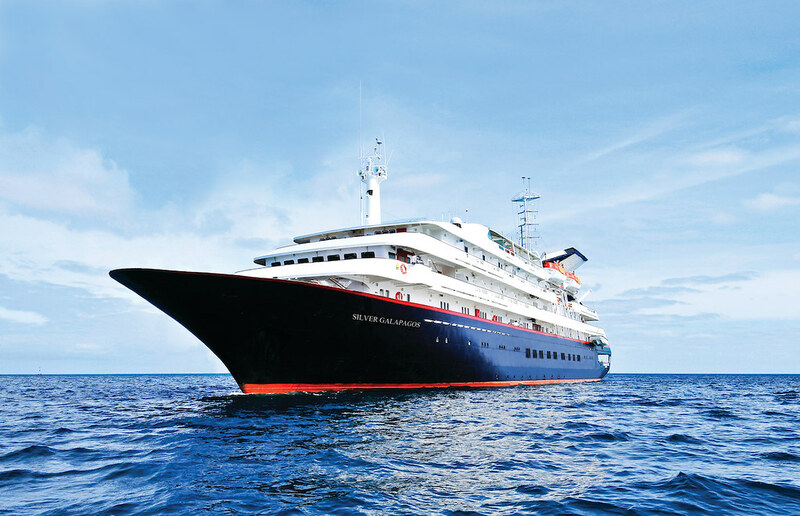 Later this year, EYOS will introduce other scheduled expeditions onboard superyachts in the South Pacific and the Maldives, as well as future polar expeditions on board Legend. 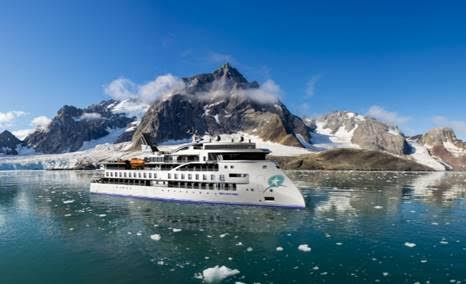 Following the overwhelming response and popular demand for their new world-class expedition ship, Greg Mortimer, Aurora Expeditions has announced the final extension of their launch offers for 2019/2020 voyages. Clients will continue to save up to US$5,500pp* on select voyages and select cabin categories until 30 April 2018. With voyages selling out, to avoid disappointment we recommend not waiting until the end of the month to secure these offers! 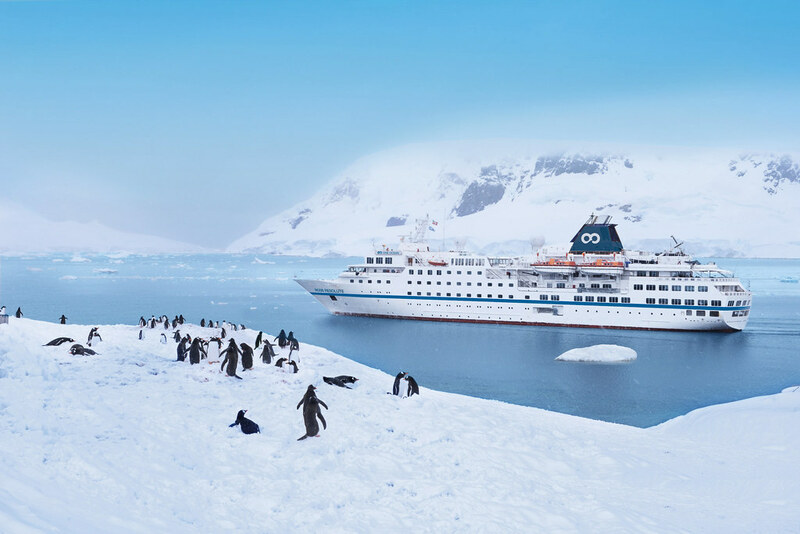 Waitlist only voyages now include South Georgia & Antarctic Odyssey (New Year's in Antarctica) departing on 28 December 2019 and the new Franz Josef Land Explorer departing on 12 July 2020. The final sales extension coincides with the highly anticipated results from their trade sales incentive which ran from 23 January – 31 March 2018. Joseph Alam, Consultant at Our Vacation Centre has been named as the lucky winner of an expedition for two on board the Greg Mortimer during its inaugural 2019/2020 polar season (valued at $23,015 USD). During the 21-day Arctic Discovery voyage, Joseph will experience an Arctic trifecta - exploring Svalbard, Greenland and Norway. He will also be one of the few people in the world to visit the remote and active Jan Mayen volcanic Island. Some of the sights he may encounter include but are not limited to: Scoresby Sund (the world's largest fjord system), polar bears, and arctic foxes. In addition to these magnificent findings, he will have the opportunity to participate in sea kayaking, and complimentary professional photography workshops. "On behalf of Aurora Expeditions, we would like to take this occasion to thank Joseph as well as all the other consultants who have shown us tremendous support in spreading the word and sharing our life-changing voyages with their clients over the past three months" stated Dianna Schinella, Aurora Expeditions Industry Sales and Marketing Manager. The prize giveaway highlights once again the organisation's ongoing commitment to and appreciation for their trade partners. "I just wanted to thank you and everyone at Aurora for this amazing opportunity!" said Joseph. Crystal has unveiled the latest design details for its upcoming luxury expedition yacht, Crystal Endeavor for Crystal Yacht Expedition Cruises. Aboard Crystal Symphony, Crystal's president and CEO, Tom Wolber, shared the first glimpse of the luxury accommodations on the yacht during Crystal's 27th Annual Sales Gala celebrating the company's top producers. At 19,800 GRT, Crystal Endeavor will be the largest, most spacious purpose-built polar class expedition yacht in the world, accommodating just 200 guests and boasting all the luxurious amenities and special touches for which Crystal is known. The yacht will feature generous public spaces, a full-service spa and salon, six restaurants including Nobu Matsuhisa's Umi Uma, expedition rooms and elegant suites that contrast beautifully with the rugged adventures beyond the vessel. "Crystal Endeavor's suites are an important part of the overall experience that is rooted in luxury and comfort, even while in the midst of extreme adventure," Tom Wolber says. "These suites will be private havens of relaxation and personal service welcoming travellers as they embark on journeys to the far corners of the world." Crystal Endeavor's accommodations will be industry game-changers, as the largest, most spacious suites in expedition cruising, featuring private verandahs and butler service for every suite. Luxury touches include king-sized beds; walk-in closets; heated storage for drying parkas; spa-like bathrooms with adjustable heated floors, dual vanities, anti-fog mirrors and rain-showerheads. The stylish design is matched by state-of-the-art technological amenities that will enhance the experience with fine details, like ambient lighting, interactive streaming TVs and bedside iPads in every suite that offer voyage information and numerous international daily newspapers. The 100 suites will include two Crystal Penthouse Suites (985 sq. ft. to 1,130 sq. ft.), eight Penthouse Suites (457 sq. ft.) and 90 Deluxe Suites (304 sq. ft.). 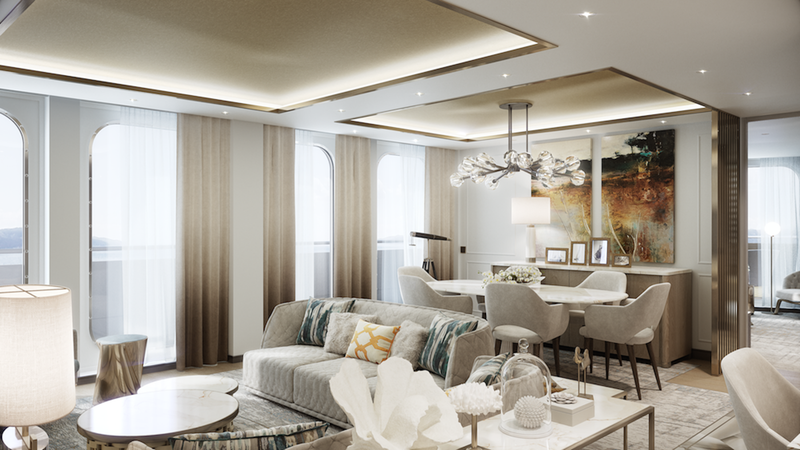 The larger of the two Crystal Penthouse Suites features a two-bedroom layout, while the other one-bedroom plan connects to an adjacent Deluxe Suite through an adjoining entry, ideal for families and friends travelling together. Both offer dedicated dining areas and butler's prep space for in-suite dining from any of Crystal Endeavor's Michelin-inspired eateries. The Penthouse Suites and Deluxe Suites offer separated sleeping and sitting areas, private verandahs and desk vanity areas. Crystal marked the steel cutting milestone for the 100-suite Crystal Endeavor in January this year, and shared initial design plans for the yacht's public spaces in March. She is set to debut in 2020. Details of the vessel's itineraries and on-sale date will be announced at a later date. Just back from an exploration of the Fiji Islands with Captain Cook Cruises and I was sad to learn that three of my favourite vessels from the islands will (most likely) never sail again - at least in a commercial capacity. 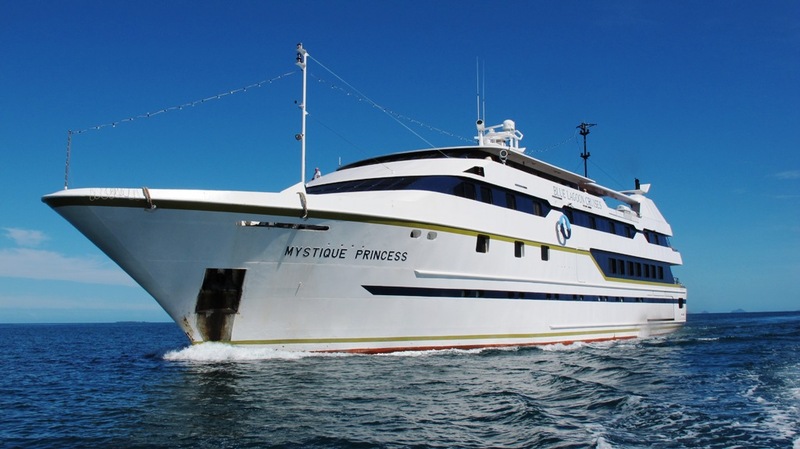 Blue Lagoon Cruises have all but given up on poor Mystique Princess (IMO 9131395). She languishes sadly in the harbour at Lautoka, apparently stripped of all her fittings and waiting for ... who knows what. 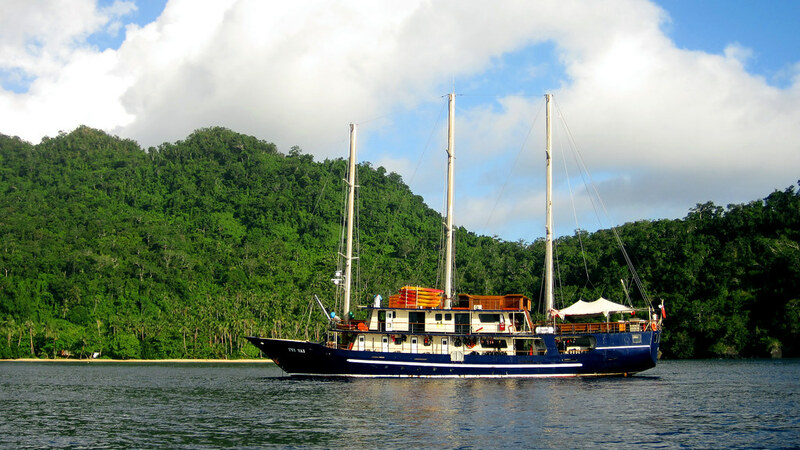 Recent cyclones, especially the devastating Winston took its toll on maritime operations in Fiji and one casualty was the delightful schooner, Tui Tai (IMO 7910644). I hear she's still afloat, but too badly damaged to resume commercial operations. Captain Cook Cruises' Reef Escape (IMO 8512475) was sold to the 'colourful' resort owner, Albert Bertini, for use at his on-again, off-again project, Vautele Island. Last I heard it was beached there after a storm blew it on shore.